After Glee 's series finale, Sue Sylvester is trading in her track jackets for angel wings. 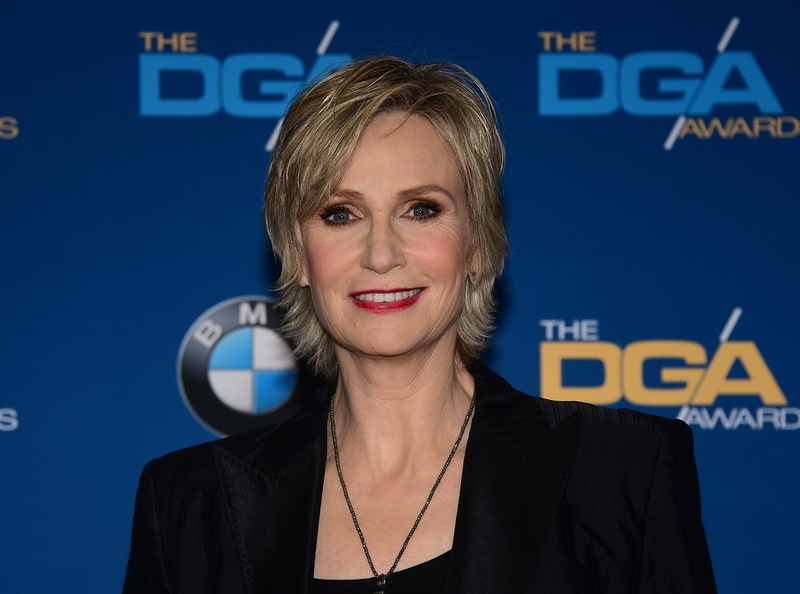 Jane Lynch will star in Angel From Hell , a new CBS pilot that centers around her character Amy, who claims to be another woman, Allison's, guardian angel. Amy is described as "larger-than-life, brassy, and flamboyant," which is very similar to Lynch's awesome offscreen personality, and Allison questions whether she really has an angel in her life or if she's just crazy. In addition to wrapping up Glee and kicking off this new pilot, Lynch also will return to host Hollywood Game Night Season 3, which will air on NBC sometime in 2015. She recently won an Outstanding Host Emmy for the fun game show, so that's a gig that will probably last a long time for her, too. Although the lead in Angel From Hell hasn't been cast yet, it would be fun to see one of her Glee co-stars move over to the new show. Can you imagine if Rachel Berry — erm, I mean Lea Michele — became her unlikely friend, or if it was really Santana (Naya Rivera) whom she was lending her wings to? Priceless. There's one former cast member who she'll likely run into around the CBS lots — Melissa Benoist, who plays the titular Supergirl on the network's reboot.